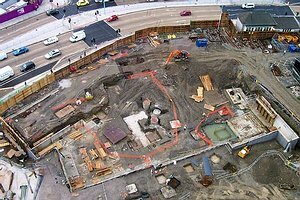 Site engineering work is undertaken from the simple setting out of a house to major civil engineering projects. By using a combination of the latest robotic surveying equipment, backed up by full PC interconnectivity, it is possible to make a seamless transition from an Architects or Engineers drawing to the reality on site. 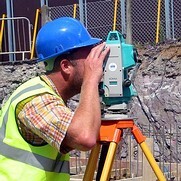 The use of modern total station theodolites and computer CAD drafting systems has enabled the development of a setting out system that reduces man-hours and the risk of errors. 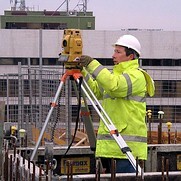 Working directly from electronic copies of the Architect or Engineers drawings, the building / structure / road can be reduced to a list of coordinated points that are then up-loaded into the total station theodolite. 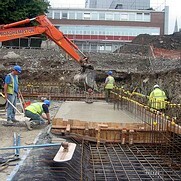 Quite literally "the whole job is on the machine", allowing the site engineer to concentrate on setting out and supervising the works rather than spending hours manually calculating information from paper drawings. 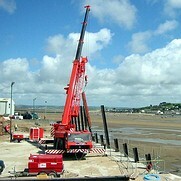 More examples can be found on the recent work page.